I finally finished this quilt!!! It has taken me a long time and the only reason for that is I just could not find a way to quilt it to my liking. I tried 4 different patterns and each time I un-picked it and started over. 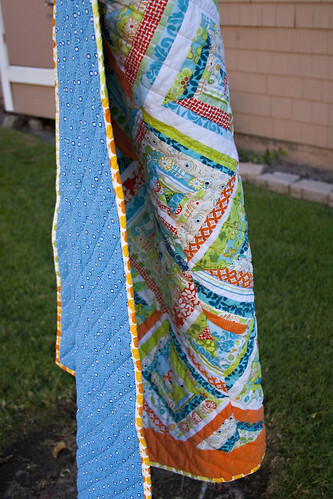 I finally decided on diagonal lines and it was a pain to quilt it since my walking foot guide only stays on one side so I had a hard time quilting it with all of the quilt bunched up in the throat of the sewing machine. I LOVE LOVE the apples as the binding. Thanks Erin for giving me some of yours I would not have had enough. The apples are from Sandi Henderson's Farmers Market one of my favorite lines. 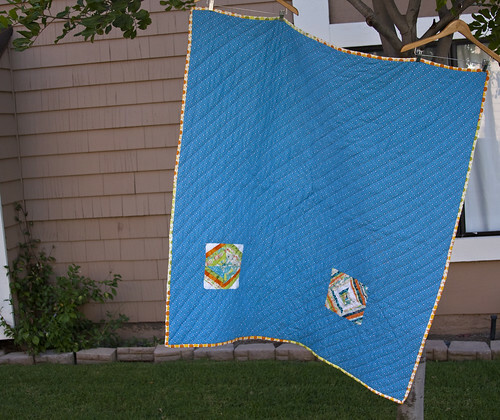 The quilt measures 58"x 58" so it is a good size for a picnic and taking to the park. Thanks so much to my Sew Connected 3 group for helping me to make this awesome quilt! I am just sorry it took so long to make. 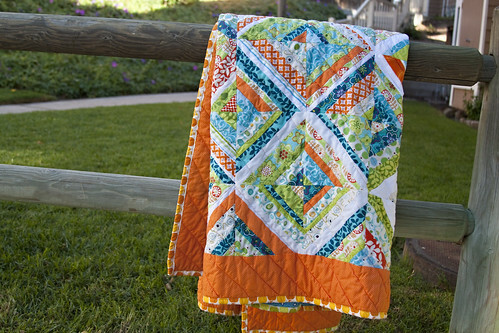 That is a beautiful quilt - I love your color selection! I love that so much!! 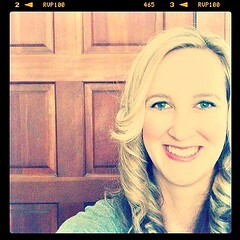 Love the border. Did you place the white in the same place for each block? I sooo want to make one of these and yours is so wonderful!!! Very beautiful. I love colours ! 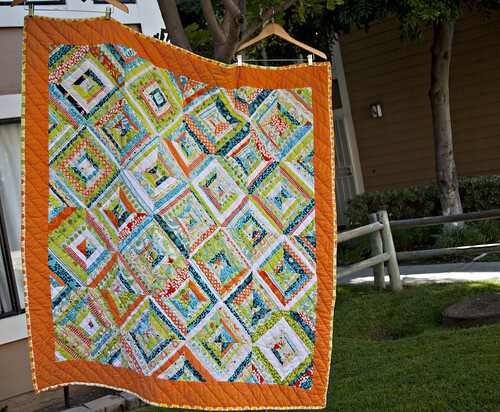 Such a lovely cheerful string quilt. Your fabric choices were spot-on. Why do those blocks look so familiar to me? 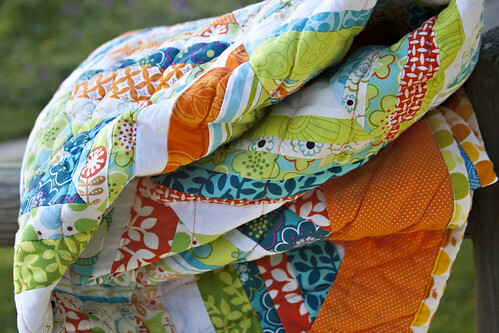 I love, love, love the quilt.